Nothing fancy, just a humble square of cotton. 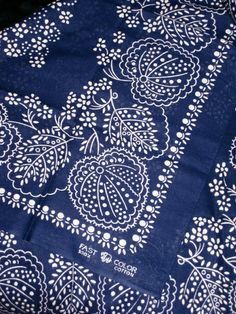 Our grandparents would never have gone anywhere without a handkerchief, but these days people seem to favour a bandana when it comes to carrying cotton. A bandana is another one of those things that is useful for a thousand things but nothing specific. From fire-starters to head coverings, from bandages to signalling flags, cotton bandanas are deceptively multi-use. Since they weigh next to nothing and can be crammed into almost any space in a bag or pocket there is no downside to carrying a couple. 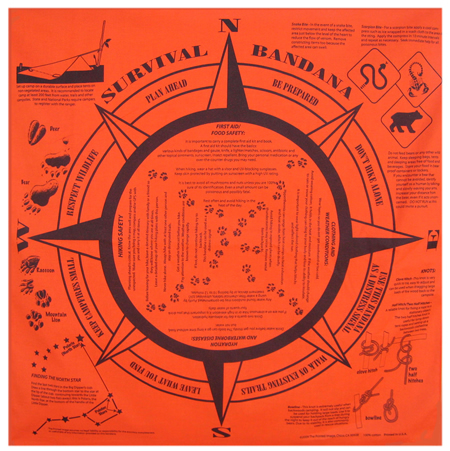 The basic bandana can be picked up for less than £1 online, and there are now various fancy ones that have all sorts of survival info printed on them for around £10, You can even get them printed with local maps. So, do you carry a bandana or handkercheif? and if not, why not?